The Jason Group was started by ARPA (now Darpa) in 1960 and was originally comprised of 45 top scientists and academics from around the country. The group was mostly made up of physicists in its early days and the Jasons would meet for six weeks each summer to tackle the most difficult problems confronted by the U.S. military. The most recent Jasons studies have included everything from the potential impact of artificial intelligence in health care to the performance of critical satellites. And those are just the unclassified studies we know about. There are still a lot of unanswered questions about the future of the Jason organization, especially since it reportedly still has pending contracts with the Department of Energy and the intelligence community. 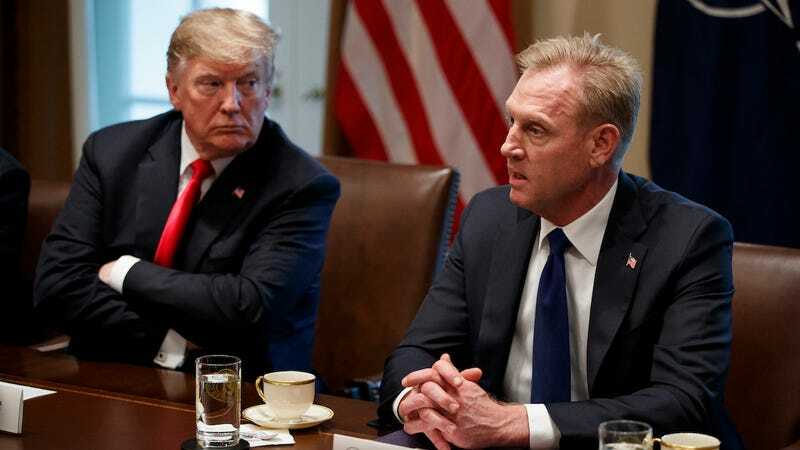 According to Science, the MITRE Corporation, which manages the Jason contract for the military, received a letter on March 28 that the Jason Group should disband completely by April 30. But members of the Jason Group will only say publicly that they’re operating as usual. The MITRE Corporation did not immediately respond to a request for comment from Gizmodo this morning. Democratic Representative Jim Cooper asked about Jason’s funding yesterday afternoon during a strange exchange with Lisa Gordon-Hagerty, head of the NNSA. Gordon-Hagerty said that she wasn’t aware of what’s happening with the Jasons but that the Department of Energy has ongoing studies happening with them. You can watch that testimony on YouTube. U.S. National Security is a top priority. Having an independent body of scientists to provide guidance, advices and recommendations regarding our nuclear stockpiles and weapons systems is invaluable to decisionmakers in both the Executive and Legislative Branch. Reading the news that the Department of Defense is severing its 60-year working relationship with this independent group without warning or rationale, raises serious questions. This is a move that could potentially have national security ramifications and deprive policymakers of critical information regarding our nuclear weapons complex. I hope my colleagues on the Armed Services Committee will review this decision and that the Defense Department will reconsider this rash decision. Researchers in a variety of fields are also unhappy with the decision to ax the Jasons, and they are taking to social media this morning to express their displeasure. One researcher, Nickolas Roth, who studies nuclear policy at Harvard’s Belfer Center for Science and International Affairs, called the decision “profoundly misguided,” citing the important studies that the Jason Group has been asked to conduct around nuclear terrorism and the safety of America’s nuclear stockpile. The Jasons have solved a number of scientific problems over the years, but their most high-profile work has sometimes been their most controversial. For instance, the Jasons were tasked with helping to fine-tune lasers for Reagan’s Strategic Defense Initiative in the 1980s, ridiculed as the Star Wars program by some critics. The Jasons actually solved a difficult optics problem for lasers in 1983 by figuring out how to correct for the distortion caused by the atmosphere. The problem had plagued astronomers and their telescopes for decades but the Jasons solved the problem for the purposes of futuristic weapons in space that never saw the light of day. And scientists were less than enthusiastic when the optics solution was revealed publicly in 1991, as Ann Finkbeiner recounted in her 2006 book The Jasons: The Secret History of Science’s Postwar Elite. Some researchers felt like they had wasted years of their lives because the Jason research was classified and had been kept secret for so long. The Jasons were also criticized during the Vietnam War for helping to develop new weapons that were being deployed in Southeast Asia. But while the Jasons were too militaristic for anti-war protesters, they were also seen as too hippie for the military folks. “The Jasons were, and I don’t mean to be insulting to them, but let’s just say peaceniks,” former Darpa director Steve Lukasik told me over the phone in 2015 for a story about the Vietnam War. This isn’t the first time that the U.S. government has tried to defund the Jasons. Back in 2002, the group was almost dissolved after Tony Tether, the head of Darpa at the time, pulled Jason’s funding. Darpa technically split from the Jasons but the academic-led organization was able to continue its work as an independent body for the broader Department of Defense. According to Science magazine, Michael Griffin, the undersecretary of defense for research and engineering, is the one who’s probably trying to dissolve the Jason Group this time. “I see this long-term trend of the federal government eliminating its institutions that are dedicated to technical and strategic thinking independent of politics,” Roth said. As Roth points out, Congress will likely have to step in if something is going to be done. But we at Gizmodo aren’t going to hold our breath that Congress can actually get anything done in 2019. Update, 11:55am: Updated with a statement from Representative Gwen Moore. MITRE received a letter dated March 28 from the Department of Defense that terminated plans for a follow-on JASON contract, and as instructed by the letter MITRE is ceasing our support of the JASON program.